SSH Copy integrated with OS X Keychain tightly, all of your login passwords, keyboard interactive informations and private key passphrases are saved to keychain automatically. Note: If you want SSH Copy forget your password from Keychain, just leave the password field blank, then saved password will be permanently removed from your keychain. You can also change the default folder after login by setting "Remote Folder". Click "Save and Connect" button once you have configured properly. 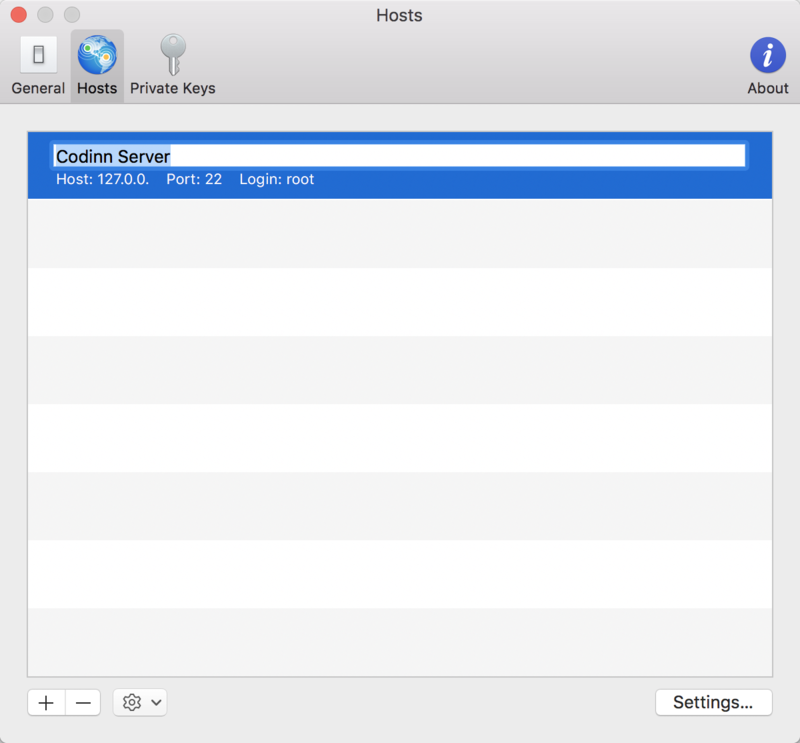 To manage your hosts, open "Preferences…" of SSH Copy and switch to "Hosts" tab of the window. The newly created host has a default name "New Server". You are able to change the default host name by press Enter key on selected host. To delete a specified server, select it from server list and click "–" button next to the "+" button, a confirmation dialog will appear. The server will be deleted permanently after you confirmed.